If you're planning a party and want a bit of magical entertainment, you've come to the right place! 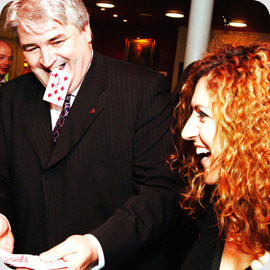 We have a whole range of magic acts, from close-up magicians to mind readers, pickpockets and escapologists. Below you will find more information on all of our most popular entertainment ideas, have a look around and if you want more information give us a call.